Join us at Greystone Hall on Saturday, March 2 for the 2019-20 season announcement party and champagne brunch! Full cash bar, champagne, light hors d'oeuvres provided. Current season subscribers, donors, and anyone who volunteered with us in the 2018-19 season may attend free of charge--$5 tickets available to all. Reservations requested. 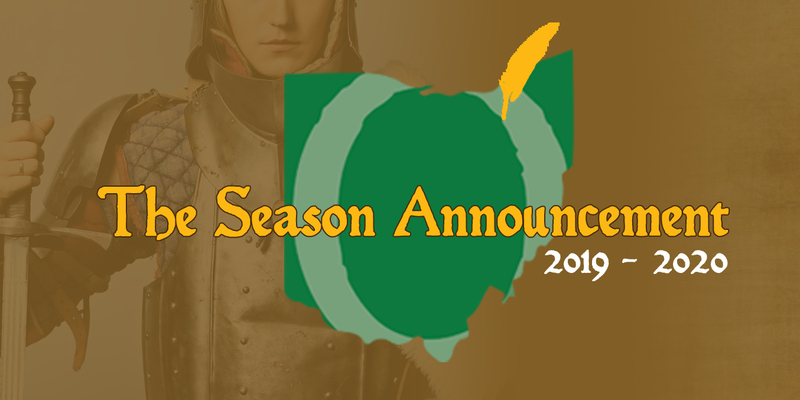 You'll be the absolute first group to hear about all 6 plays being announced for our 2019-20 season (both outdoor Shakespeares at Stan Hywet and the 4 mainstage Greystone performances, including a brand new Family Theatre production). You'll also hear about the THREE full "bonus" productions being added to the season. There will be some scene readings... and maybe a swordfight or two. In between all that, hang with the cast and company--some of us will be singing Greenshow tunes in the lobby, some of us will be socializing at the bar. Just come up and say, "hi!"